Standard examination is available to all patients, NHS or private. The Enhanced examination is available to all patients, NHS or private and includes a 3D OCT scan of the layers of the eye. This OCT scan carries an additional fee but is invaluable in diagnosing and monitoring serious eye conditions, so the benefits are clear. We highly recommend that you take advantage of this latest technology in eye care; click here to read more about OCT.
Free NHS examinations are available for people over the age of 60 and also in some other cases. Follow this link to see whether you are eligible: NHS Entitlement. The NHS also offer vouchers towards the cost of spectacles for some people. Find out whether you qualify, here. 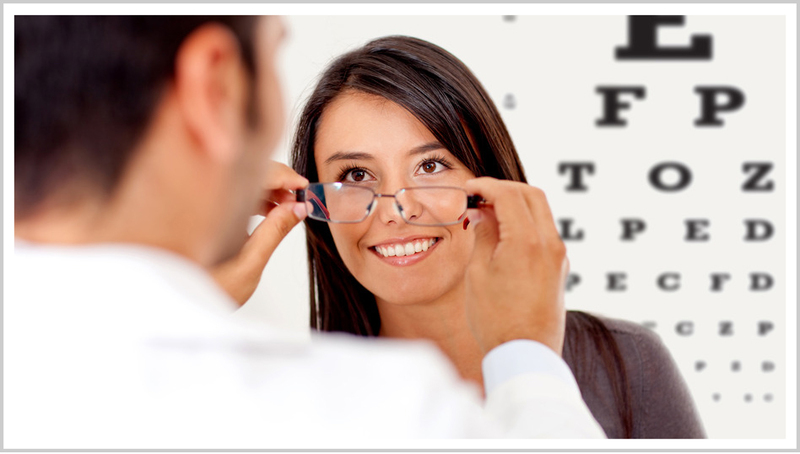 For contact lens wearers we offer contact lens consultations and free contact lens trials. For patients on our Total Care Plan, eye examinations and 6 monthly contact lens checks are free. Read more about contact lenses here. Children up to the age of 16 are eligible for free eye examinations and glasses (or up to the age of 19 if they are still in full time education). We are approved by Somerset Hospital Eye Service for Ocular Hypertension Monitoring, allowing patients to be monitored locally, in the Practice, for their convenience.